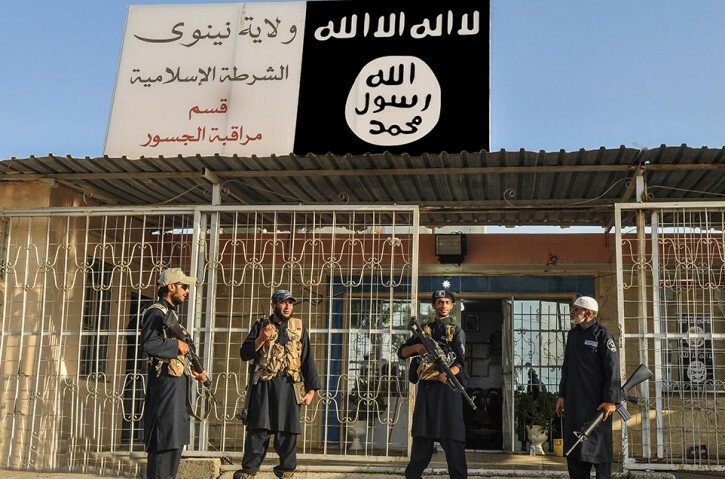 Cairo - AP EXPLAINS: Is It IS, ISIS Or ISIL, And What's A Daesh? Cairo - The Islamic State’s gruesome rampage across the Middle East has united the world in horror but left it divided over how to refer to the extremist group, with observers adopting different acronyms based on their translation of an archaic geographical term and the extent to which they want to needle the extremists. The group traces its roots back to Al-Qaida in Iraq, which declared an Islamic State of Iraq (ISI) in 2006. The name never really caught on, however, because the militants were never able to seize and hold significant territory. That began to change when the group expanded into neighboring Syria, exploiting the chaos of its civil war. In 2013, the leader of the Islamic State of Iraq, Abu Bakr al-Baghdadi, renamed it the Islamic State of Iraq and al-Sham, signaling its emergence as a transnational force while sowing the first seeds of confusion over what to call it. Al-Sham is an archaic word for a vaguely defined territory that includes what is now Syria, Lebanon, Israel, the Palestinian territories and Jordan. It is most often translated as either Syria — in the sense of a greater Syria that no longer exists — or as the Levant, the closest English term for the territory it describes. In English, the group’s name was translated variously as the Islamic State of Iraq and al-Sham (ISIS), the Islamic State of Iraq and Syria (also ISIS), or the Islamic State of Iraq and the Levant (ISIL), the term usually used by the U.S. government and various U.N. agencies. Mainly in the Middle East but increasingly beyond, those opposed to the group turned the Arabic acronym corresponding to ISIS into a single word — Daesh — a nonsensical word in Arabic that is insulting to the group because it diminishes its claim to have revived the Islamic caliphate. IS’ opponents, including public officials like French President Francois Hollande and U.S. Secretary of State John Kerry, have used the term to mock, condemn or diminish the group. Dawaesh, a plural form of the word that sounds even sillier in Arabic, is widely used in the Middle East. When the IS group seized vast parts of northern and western Iraq in the summer of 2014, it declared a caliphate in the territories under its control and dropped Iraq and al-Sham from its name. No matter what name they go by, their goal and mission is all the same to slaughter the infidels, and push Israel into the meditirenean ocean, with their necks slit! In my presidency I have eradicated Isis. There is no more Isis. That's because I changed their name to Issil. I don't understand. What does "Daesh" stand for except for ש"ד read the non-Hebrew way, from left to right?